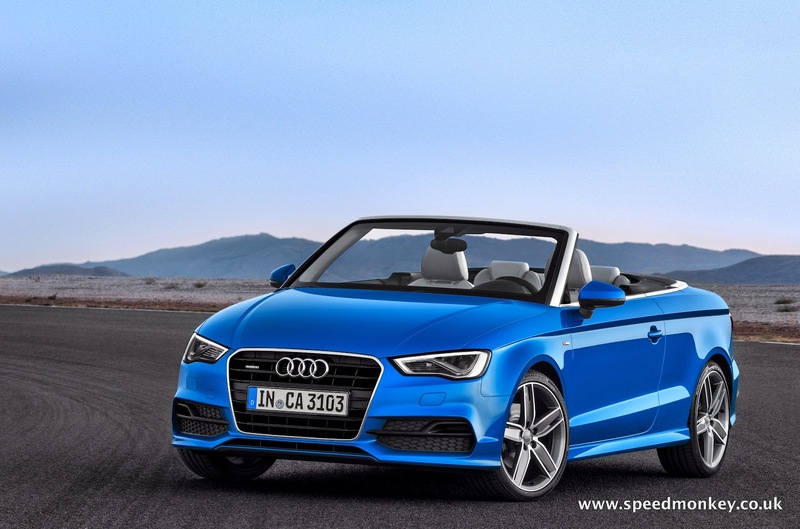 This is the Audi A3 Cabriolet. 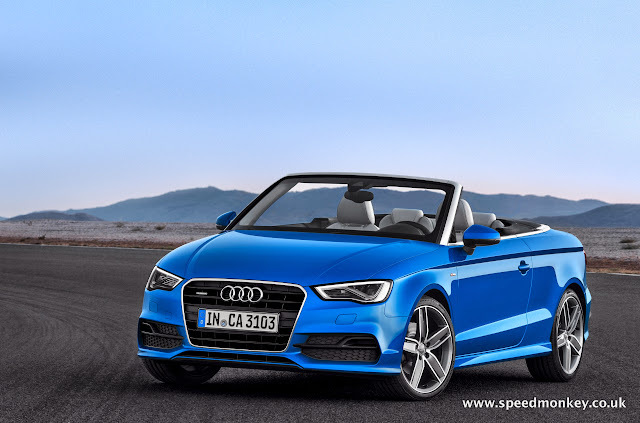 Its fabric hood opens in 18 seconds, at up to 31mph, and it's 50kg lighter than the previous A3 cabrio at 1,395kg. The A3 cabrio gets 1.4 and 1.8 litre petrol TFSI engines and a 2 litre diesel TDI. More will be added after launch. 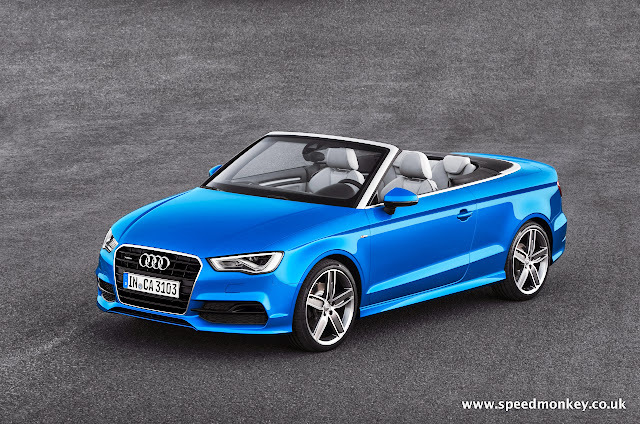 More interestingly an S3 will follow soon after launch. The S3 gets the 300bhp 2 litre TFSI and 6-speed S tronic auto transmission. 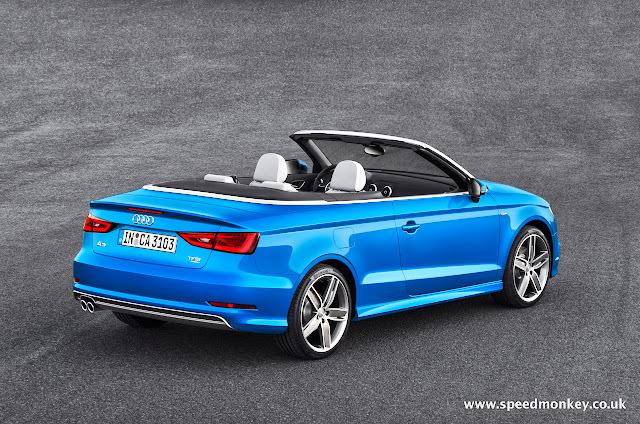 The A3 Cabriolet wil launch at the Frankfurt Motor Show, orders will be taken from October and deliveries will take place from March 2014.